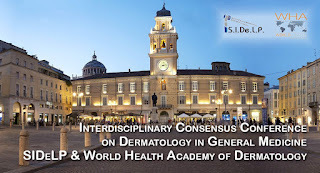 Today dermoscopy is standard-of-care in the diagnosis and management of patients with benign and malignant skin tumors because it increases the diagnostic accuracy of skin lesions compared to the naked- eye examination up to 25%. Despite its role in the routine dermato-oncology, it increasingly gained interest as a bridge connecting clinical with basic molecular research in dermato-oncology. Here, we correlate dermoscopy patterns of nevi and melanomas with high and low susceptibility genes and somatic mutations, provide an overview on the clinical and dermoscopic patterns of cutaneous melanoma subtypes, and highlight the role of dermoscopy in the diagnosis of skin eruptions during systemic treatments of advanced melanoma including targeted therapies and immunotherapies.